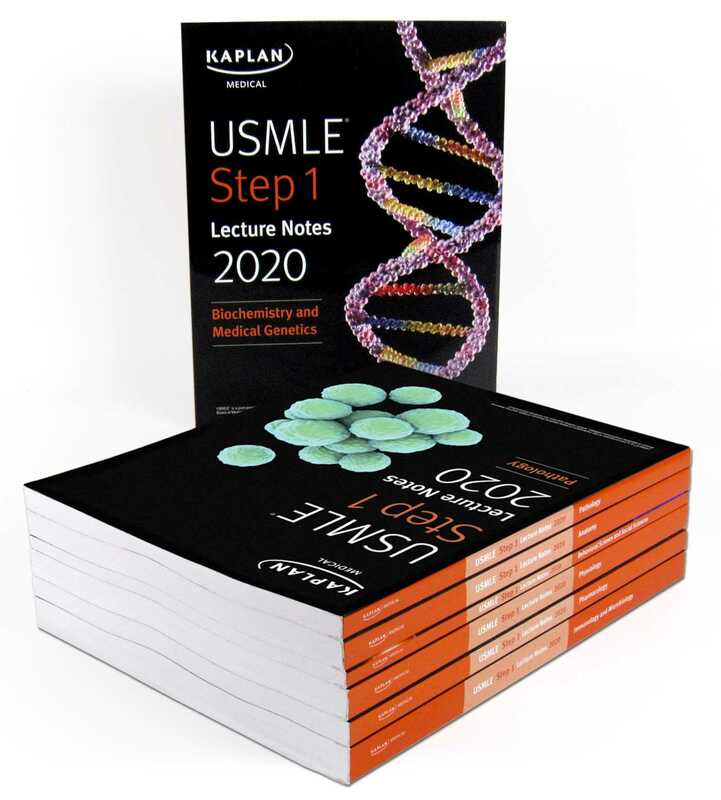 Kaplan Medical's USMLE Step 1 Lecture Notes 2020: 7-Book Set offers in-depth review with a focus on high-yield topics in every discipline—a comprehensive approach that will help you deepen your understanding while focusing your efforts where they'll count the most. Used by thousands of medical students each year to succeed on USMLE Step 1, Kaplan's official lecture notes are packed with full-color diagrams and clear review. The 7 volumes—Pathology, Pharmacology, Physiology, Biochemistry/Medical Genetics, Immunology/Microbiology, Anatomy, and Behavioral Science/Social Sciences—are updated annually by Kaplan's all-star expert faculty.